ISD Digital Skills Development has released new dates for the second half of term. As usual, we are offering a wide range of courses covering Excel, Photoshop, RStudio, Matlab, LaTeX and more. After a successful pilot last term we are pleased to be offering a Data Visualisation in R course again for those with a basic knowledge of working with datasets in R. Looking ahead to next term we have scheduled our hugely popular Python course led by Research IT Services. It starts in early May and runs for five consecutive Friday mornings. For a full list of courses and a link to the booking system visit the student course catalogue or the staff course catalogue (you will need to follow a further link to get to the actual booking pages). Dates are currently available up to and including 24 March. IT for IOE offer training in a wide range of digital tools including screencasting and video editing, blogging and Twitter, mind mapping and presentation tools, with some sessions specifically aimed at Mac users. New sessions this term include one focusing on video sharing tools and a new advanced Endnote workshop. There is still some availability on this term’s sessions. Sessions are now available to book until March. For a full list of courses and access to bookings visit IT for IOE IT Course Booking. 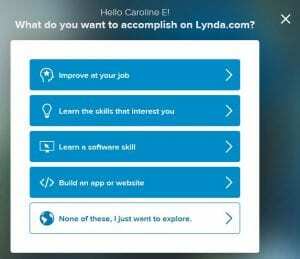 Those who use Lynda.com may have noticed already that there have been some changes to the user interface and some exciting new features have been added. 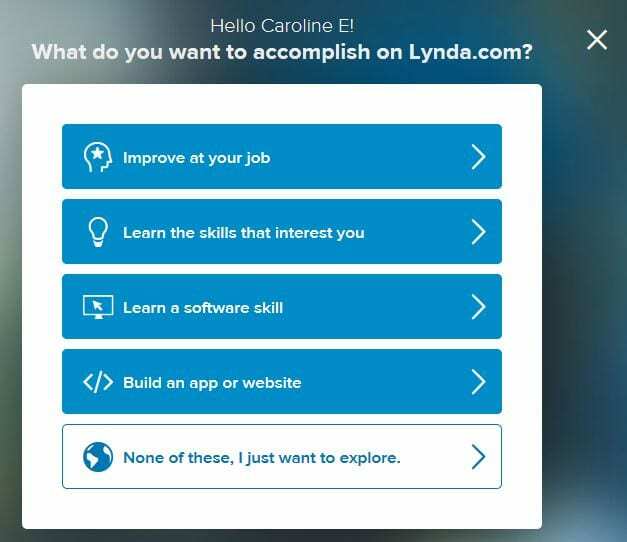 The next time you log on you will be asked ‘What do you want to accomplish on Lynda.com?’ and guided through a range of options. Once you have chosen some goals, these will be included in the Recommended section of your personalised profile. You can go back to My Goals (on the drop-down menu under your name) to change your choices at any time. 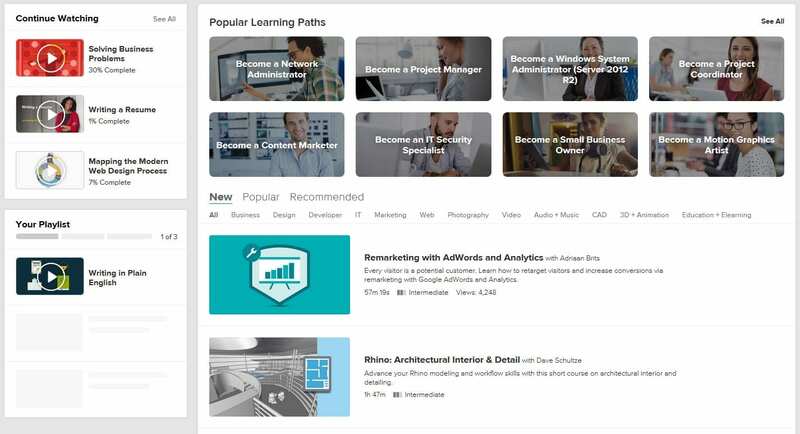 Your Lynda.com home page has now been re-organised to make it more streamlined with courses you are currently watching (Continue Watching) and Your Playlist on the left and Popular Learning Paths and other highlighted courses on the right. The courses section is now tabbed with New, Popular and Recommended sections. 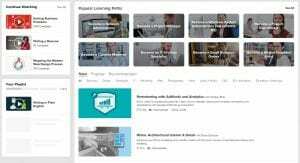 If you aren’t familiar yet with Learning Paths, these are sets of courses written by industry experts designed to teach you the knowledge and skills to pursue a particular career or work towards a particular certification. Finally, something to look forward to: there will soon be a ‘Popular at UCL‘ tab added so you will be able to see what other users here are enjoying! 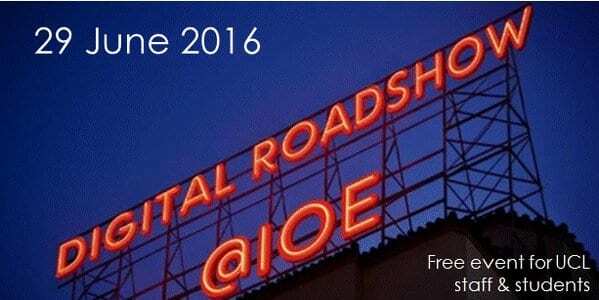 Join us for a digital roadshow on June 29th 10.30-3.30pm, Nunn Hall, Level 4, UCL Institute of Education. All staff and students are welcome. Listen to key ideas about digital capabilities in relation to educational practice from Diana Laurillard and Nazlin Bhimani. Find out about the range of digital services available from UCL ISD and IT for IOE in short talks and PechaKucha presentations. Get practical support and share ideas and issues on stalls including; ‘There’s an app for that’, a ‘Mac Brilliance bar’, ‘The digital library‘, Digital Media Services and much more. Network with colleagues over a brown bag lunch, share ideas and concerns and find out how ISD and IT for IOE and the UCL IOE Library can help staff and students.